When I sat down with poet and author Fionna Wright her eyes lit up when we spoke about writing. You can tell in her spirit and the way she carries herself, she was always meant to be a writer. Her quiet confidence juxtaposes with her visceral and expressive written work. 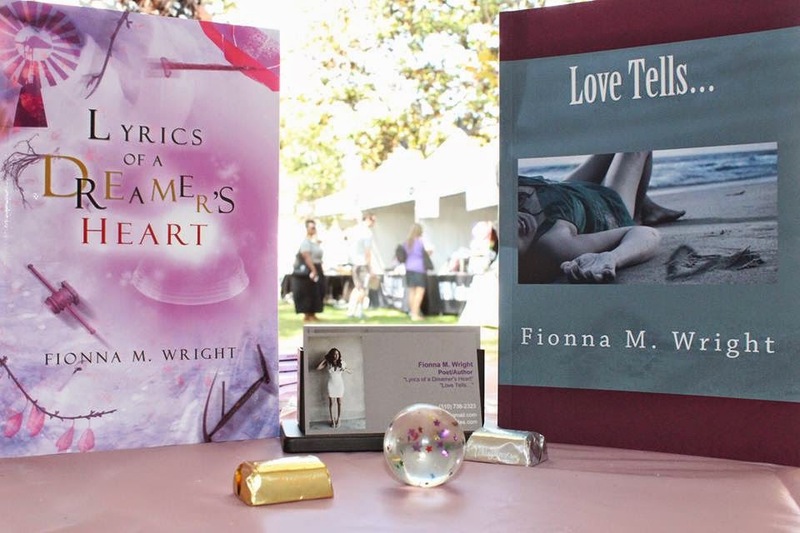 As an author of two books Lyrics of A Dreamer’s Heart and Love Tells, Fionna bares her soul in her writing. Her poems touch on love, life, and everything in between. In her published blog Fionna Writes: Simple Words. Complex Thoughts. she shares more of her poems and refreshing self-realizations. You don’t just read her poems you feel them. A mix of her woman’s intuition and her gift of sewing words together make her poems exciting and uplifting. Fionna Wright will only grow as a writer and we are all here for it. When did your love affair with words begin? As far back as I can remember, I’ve loved words. I remember as early as kindergarten, you could find me in the back with the table of books, reading. And, I’ve always kept journals and wrote poems, short stories... everything. Writing was, and still is, my escape. I used to hide my poems and writing under my mattress so my parents couldn’t find them. I would have notebooks filled with my written work. When I entered college, I didn’t write as much because school and work consumed most of my time, but I always had a blog and still kept journals. When I was working on my Masters degree, I had a professor who emphasized not being too wordy and wanted us to write concise, meaningful pieces. I was inspired by that concept and took it to heart, as is reflected in a lot of my writing. Writing has always been something that I have to do, and that’s how I finally recognized that it is my purpose and my passion. It has always come naturally to me and was always a constant in my life. I feel at home when I write. In the preface of your first book Lyrics of A Dreamer’s Heart you talk about your insecurities, doubts and fears holding you back. When did you decide to let all of that go? I haven’t let go of it entirely. I still have bouts of doubt from time to time, not as much, but there are times when I still question my work and myself briefly. Even when I feel vulnerable and uncomfortable, I still want to express that through my writing. I’ve created my best work out of my darkest moments. After I became a mother, a lot of my doubts and insecurities left because I always want my daughter to witness and know self-love and self-acceptance. How has motherhood influence your writing? You often say that your pen is your “honest tongue”, have you ever been hesitant to write about something only to find the courage to write it? All the time! I still have some poems I have yet to share, but just a few. I sometimes am afraid of being judged with my most vulnerable work, but I can’t say to people to be vulnerable and be open if I don’t do it myself. So I usually end up sharing those poems anyway. You have a very positive outlook and that is exhibited in your writing. Where does this stem from? It comes from my mom. Throughout any drama, chaos or pain in her life she’s always kept a positive outlook. And that’s something that she radiates with everyone she meets, everyone who knows her will tell you about her bright and loving aura. What was the evolution from your first book to your second book Love Tells? When I wrote my first book, Lyrics of A Dreamer’s Heart, I had the idea of doing a poetry book series, but that kind of evolved by the time I wrote Love Tells. It’s not a series, but they are still both poetry collections. I feel that my writing skills have improved in my book Love Tells. It is less wordy and I think it’s more raw, vulnerable and reflects my growth through my new life experiences. Why did you dedicate Love Tells to the good, bad, ugly, and the beautiful? Every experience, good or bad, has a lesson that can be learned. In painful experiences, we can choose to dwell on the pain and not grow from it, or we can refocus ourselves and let that experience strengthen us, and grow from it. You have a lot to say on your published blog Fionna Writes: Simple Words. Complex Thoughts. Which poem best represents you now as an author and a woman? I’d say my poem “Butterfly” represents my journey as an author and writer the best because it talks about breaking out of my cocoon, finding my wings and flying. That perfectly describes my journey to openly share my writing and eventually publishing books. As far as representing me as a woman, or my experience and what’s important to me, I’d say my poem “Broken Rainbow” best represents me, particularly as a biracial woman. In the poem I talk about living in between both of my worlds, not ever fitting completely in with any group, and being bi-racial in a color-conscious society and the stereotypes surrounding that. Your poems range from stream of consciousness to strictly love poems. Which do you feel most comfortable with? The inspiring poems, the poems that people can relate to are the ones I find myself most comfortable writing. Looking at your blog Fionna Writes you love to travel. What are the places you’ve visited that served as a new inspiration for your writing? I’ve been to London and Paris, which were inspirational, but Barcelona was ridiculously beautiful and magical for me. I was only there a half a day, but it was incredibly inspiring. I will have to go back there soon and fully experience it. Also, Ecuador has always been a source of inspiration and rejuvenation for me. That’s where my mom is from and a part of me always feels at home and centered there, I love to visit as often as possible. Your poem Baddie is pain stricken at the beginning, but at the end shows the strength of a woman. Where do you gather your strength from? I gather my strength from my mother, from the women that inspire me, and the woman I aspire to be. What are your future aspirations as a writer going forward? I’m always going to write books. Right now, I self-publish so it would be great if a publisher sought me for my future works. And, if I could get paid to be a travel-writer, that would be great too. How can people reach you and read your work? 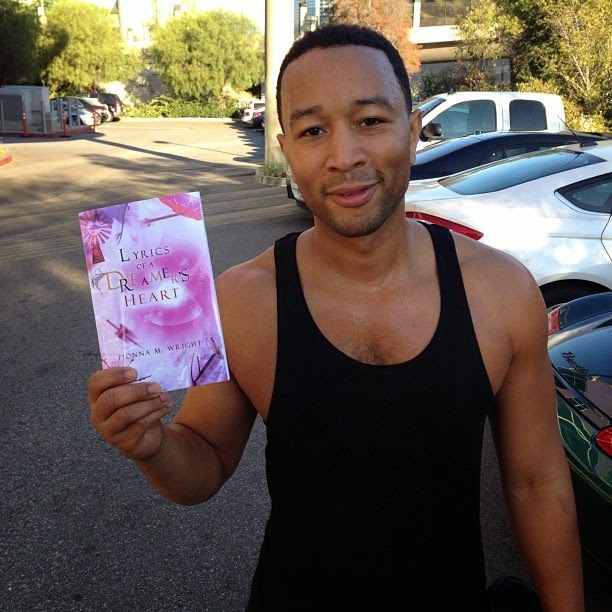 People can get my books Lyrics of A Dreamer’s Heart and Love Tells on Amazon. They can reach me on my blog: Fionna Writes: Simple Words. Complex Thoughts.